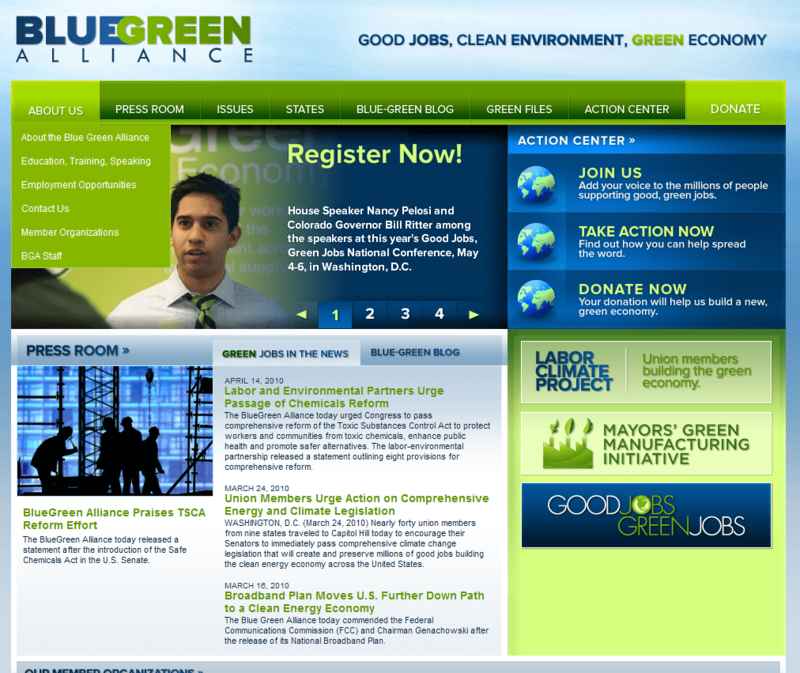 I often get asked about union websites – and what makes a good website. There’s loads of general advice out there about how to get a fantastically designed website, and what goes into making them usable and interactive. Check out Smashing Magazine as a good place to start for general advice. You could also check Creative Unions for a showcase on the best trade union design and campaigns. 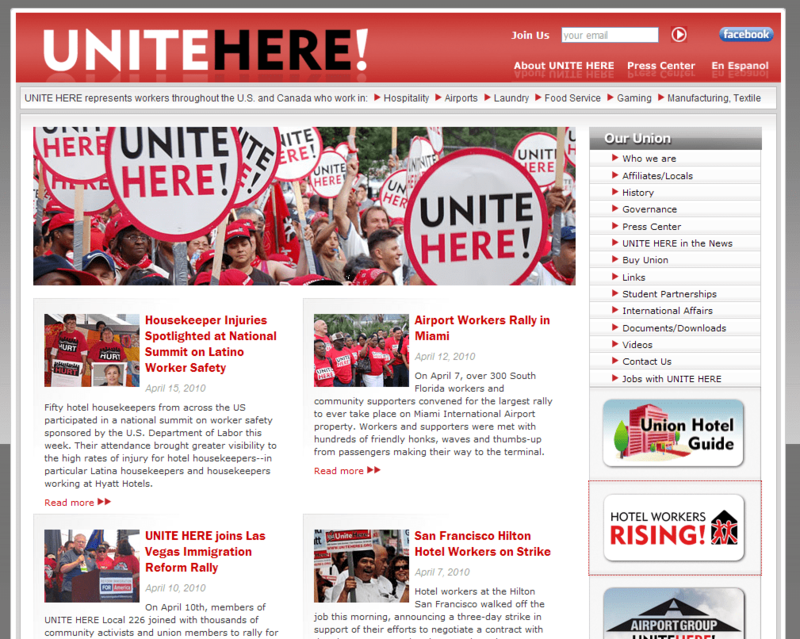 What I thought would be interesting and useful would be to track down some good union websites and highlight some of their best features. 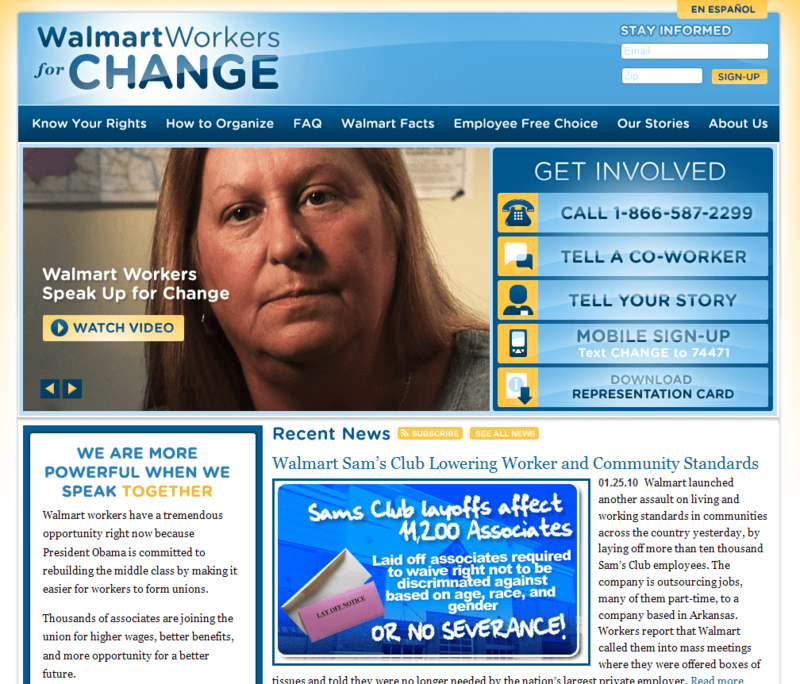 The websites below aren’t the absolute word on “best” union websites, and by no means are any of them perfect. 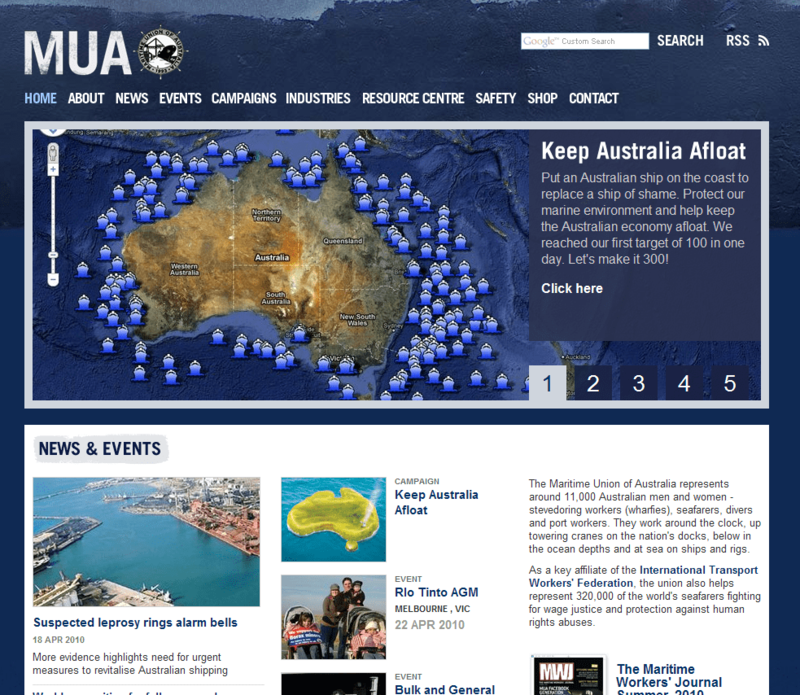 I’ve tried to find sites in Australia and internationally (and US sites feature prominently). Major news and campaign items are clearly highlighted. Lots of options for taking action and engaging with the site. Multimedia/featured video (YouTube) on home page. There’s a Spanish version of the website. Clear call to action – “Watch Video” – with other options to get involved. 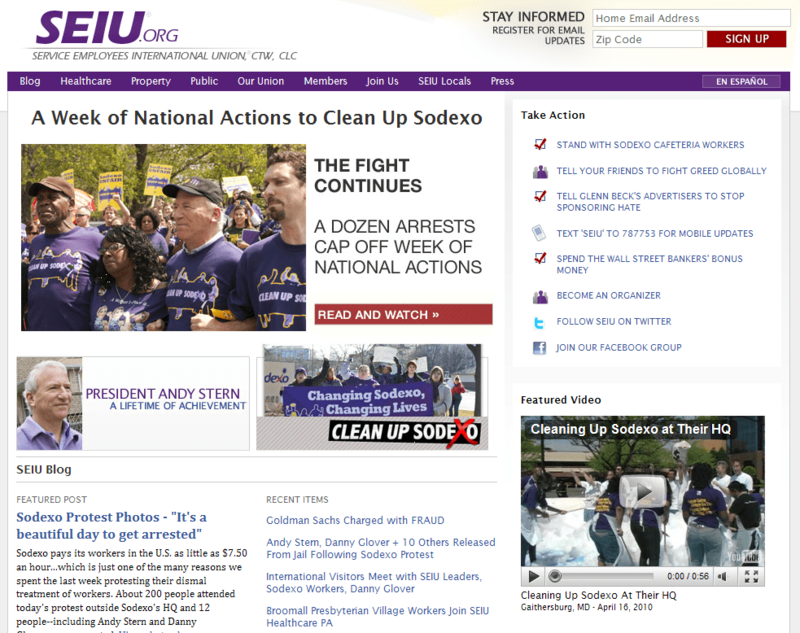 Calls to action are most prominent part of home page. Have I missed some really good sites from other countries? 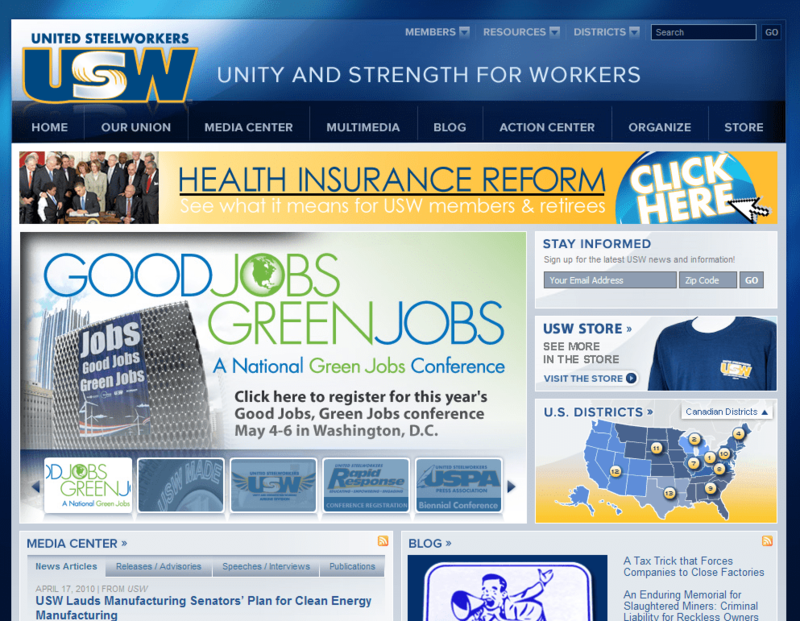 Is your union’s site well designed or cutting edge? Thanks for sharing this information Alex. As a advocate for union presence on the web, we clearly have alot of discussion about how we use the technology and advancing our goals to increase union density worldwide. Happy to share. 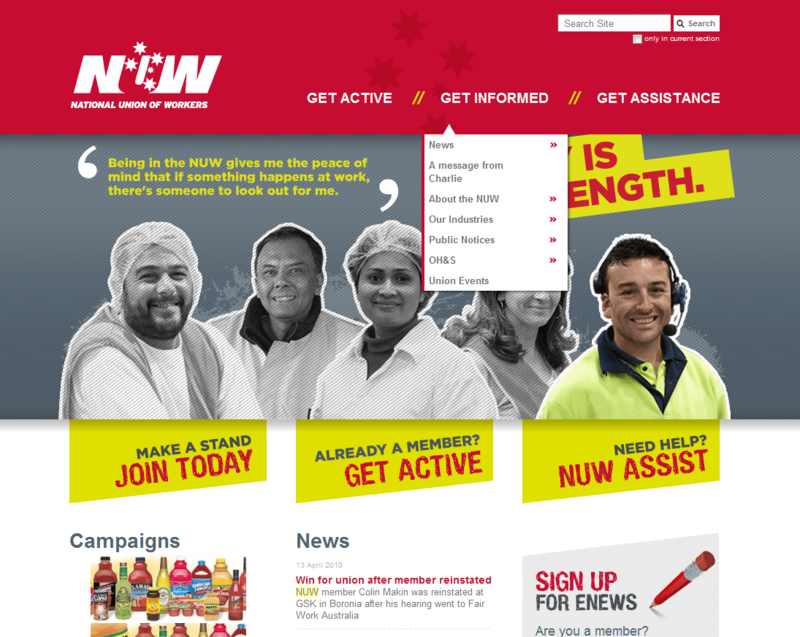 There is a lot we could all be doing at unions to improve our online efforts, as these websites show.